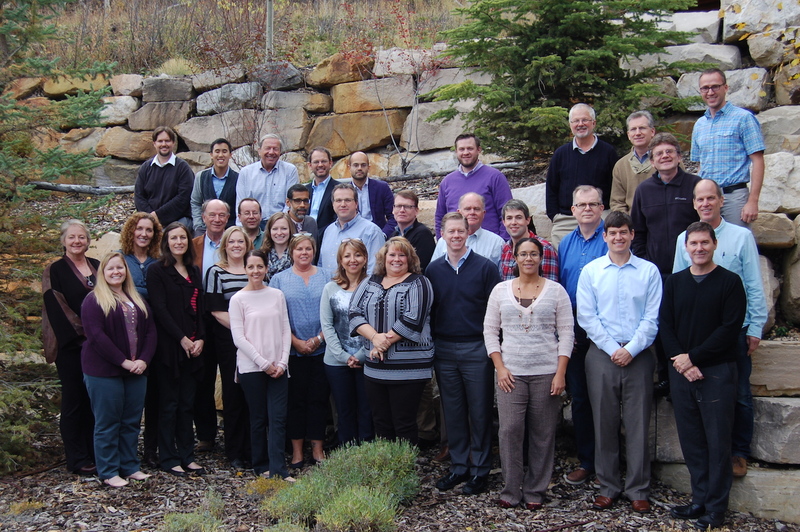 In late October, the Hydrocephalus Clinical Research Network (HCRN) Principal Investigators and clinical research coordinators met in Deer Valley, Utah to discuss study progress in the network. Significant milestones were reached in a number of studies. The Quality Improvement (QI) shunt surgery protocol, aimed at reducing rates of surgery complications such as shunt infection, was discussed and plans made to evaluate modifications for the third iteration of the protocol at the Spring meeting. A related study focused on implementation of the QI protocol in non-HCRN hospitals. The survey revealed significant practice variation among neurosurgeons, but a unanimous interest in an HCRN-driven implementation study. Dr. Mandeep Tamber is now working with the Hydrocephalus to develop such an initiative. The study Ventricular Involvement in Neuropsychological Outcomes for Hydrocephalus (VINOH) has completed patient accrual. Analysis of the VINOH study will begin after neuropsychological testing follow-ups are completed. In addition, the pilot study, Endoscopic Third Ventriculostomy with Choroid Plexus Coagulation has been completed and results are currently being evaluated to determine if a randomized control trial is warranted. Other active study topics included accrual for the Patient Centered Outcomes Research Institution (PCORI) funded Shunt Entry Site Trial and preliminary findings from the Biomarkers in Post Hemorrhagic Hydrocephalus study. New study concepts were also discussed but none were at a stage for implementation at this time. Meeting guest Dr. Jenna Koschnitzky, Director of Research Programs at the Hydrocephalus Association, presented updates on Hydrocephalus Association initiatives, including a PCORI-funded workshop, and the Department of Defense Congressionally Directed Medical Research Programs. Dr. Mark Hamilton, Chair of the Adult Hydrocephalus Clinical Research Network (AHCRN) presented an update on network progress and next steps. HCRN co-founder Paul Gross also presented information about the Cerebral Palsy Research Network that he is developing which using the electronic medical record system to collect registry information.